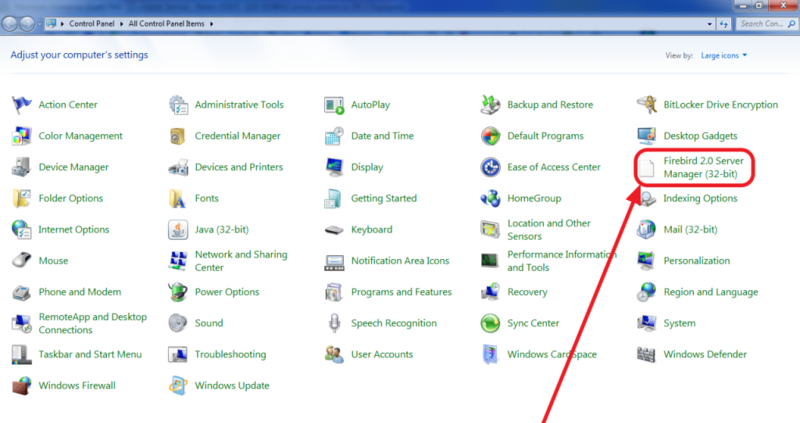 If Firebird stopped (and emdi displaying a message that says it was terminated because one of the following database-related problems arose), we can go from the Windows control panel and restart by pressing the Start button. 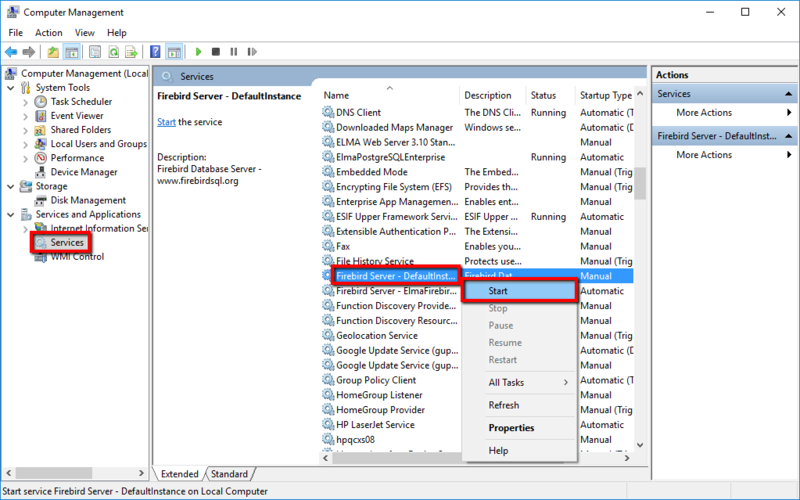 If we can’t start Firebird Server Manager on the control panel, another way is to go to the Windows Services panel to find Firebird Server-Defaultinstance and Firebird Guardian-Defaultinstance and right-click on them and Start. 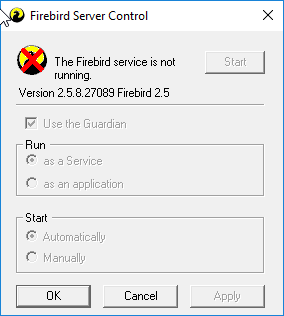 net start "firebird guardian - defaultinstance"